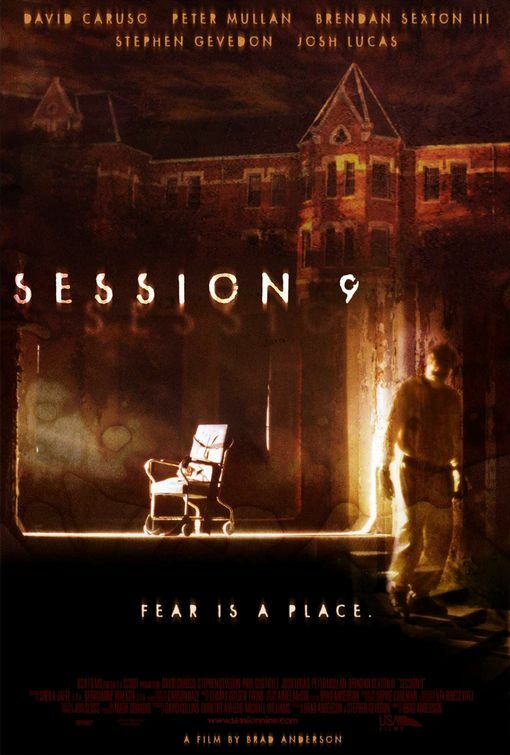 and thought that I should bring up that fact that the movie session 9 is in my top 5 favourite movies of all time and you should see it. Now be warned I’ve made several people bask in it’s glory and some people are too lousy to realize when something is awesome. If you’re one of these people and you’re ready this then I feel sorry for you. I think you should watch it. It will change your mind about mental hospitals, lawyers, hydrotherapy, Scottish people and bbq skewers. And what else… hmm… cell phones? Man what an amazing movie. So the budget is a little low, and all the actors aren’t Gene Hackman, but for what it is, and how it will blow your mind it does it’s job. Kristen, you're right, this is awesome! So that’s my advice for today, now off to dye my hair and hope it doesn’t fall out due to home haircolour. Previous postNew candles, coming soon! Maybe its just because we grew up near a mental hospital is why we think this is such a freaky movie. We know how flippin’ scary they are. I know Rodney and I loved that movie. Did we watch it together? Did I lend it to you? Why have we never talked about it? What an excellent movie, like I said, low budget, but the creep factor is a million percent. I don’t remember that, but I’m sure glad someone else liked it!